A fully functioning replica of RMS Titanic is set to launch in 2018, 106 years after the original vessel sunk in the North Atlantic Ocean.This updated version, named Titanic II, is the brainchild of Australian billionaire Clive Palmer and his company, Blue Star Line.While it will look virtually identical to the 1912 cruise ship, it will be four metres wider, with its hull welded together rather than riveted due to modern maritime safety requirements.Unlike the original, the new ship will have enough lifeboats, along with marine evacuation systems – and a boat deck housing replicas of the original lifeboats. The replica ship wlll be 270 metres long, 53 metres high and weigh 40,000 tonnes, according to the Belfast Telegraph. Like the original, Titanic II will offer first, second and third class tickets. It will have nine floors and 840 cabins to accommodate 2,400 passengers and 900 crew members. The liner will have a swimming pool, Turkish baths and gyms. 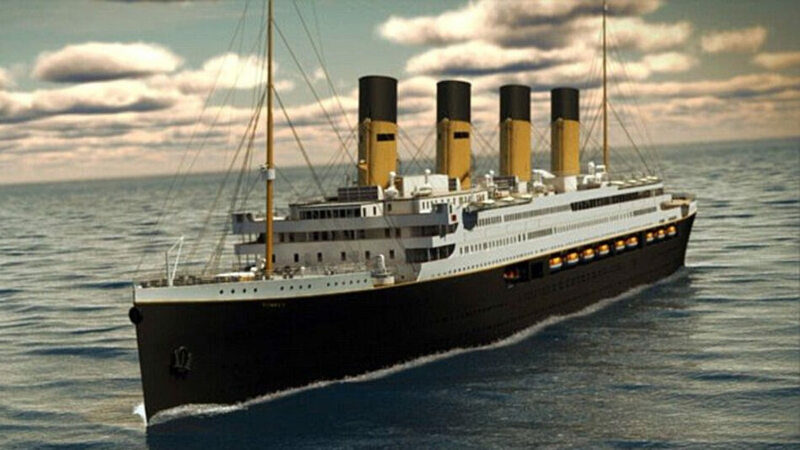 James McDonald, the marketing director of Blue Star Line said: “The new Titanic will of course have modern evacuation procedures, satellite controls, digital navigation and radar systems and all those things you’d expect on a 21st century ship. The maiden voyage will be from Jiangsu in Eastern China to Dubai and not like its namesake from Southampton to New York. The original Titanic sank on its maiden voyage in 1912 after colliding with an iceberg in the North Atlantic – killing more than 1,500 passengers and crew. The new ship will be nearly 900 feet long and 173 feet tall. It will weigh approximately 40,000 tonnes. The Titanic II will have as much Edwardian opulence as the original, with a careful attention to detail in the recreation. The new ship, like the original, will have three different classes: first, second and third. The nine-floor vessel will have 840 cabins with a capacity of 2,400 passengers and 900 crew members. If you want to relive a glamorous bygone era or recreate your favorite scene from the movie, start saving. Although Blue Star Line has not announced ticket prices, eager potential passengers have been coming forward with offers as high as $1 million per ticket. The maiden voyage will set off from Jiangsu, China, and travel to Dubai.